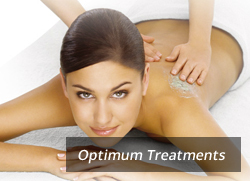 Optimum Beauty was established in 1991 and has been at its current site since 1996. Paula Ewing has built the business up from a small beauty salon with only three rooms and ten therapists into a salon which has five treatment rooms, a nail bar, pedicure room and seperate spray tan facilities. The salon provides a warm welcome to all its clients and is very proud of the friendly atmosphere it has. We have ten therapists working full and part-time, which means we can be open when our clients need us. We are open Monday to Thursday from 9am until 9pm, so late evenings after a hard day are very popular. We are also open 9am to 6pm on Friday and 9am to 4pm on Saturday. 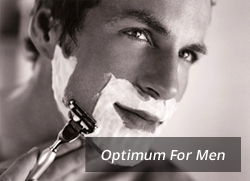 Our aim is to provide a comprehensive treatment menu, which caters for both men and women. We feel Optimum can give you the relaxation everyone deserves and needs in the very busy world we all live in. 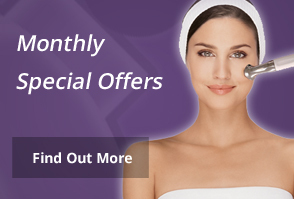 Subscribe to our mailing list to receive our exclusive Product and Treatment Special offers!